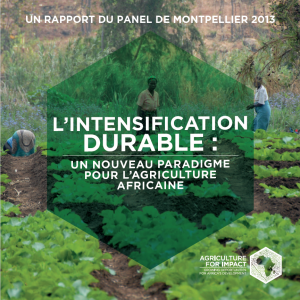 Sustainable intensification is a practical approach to achieving produce more food while reducing the impact on the environment: it is to increase food production by ensuring preserve and even improve, for future generations, natural resources which agriculture depends. 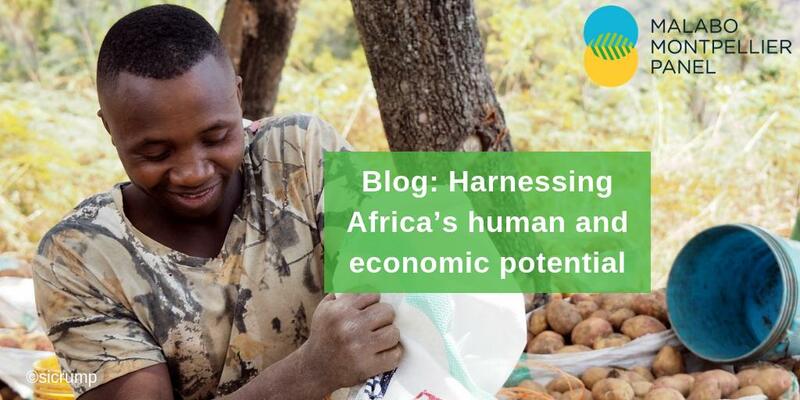 In sub-Saharan Africa (SSA), the problems posed by the rapid growth of population and food demand and the scarcity of resources such as land, water and fertile soils are exacerbated by the stagnation of certain performance cultures and alarming rates of hunger and malnutrition. Many African farming systems are far from exploiting their production potential while accelerating economic growth in Africa now offers opportunities for agriculture from the demand side. Increased production can take many forms. The current model has served us well for over 100 years, particularly by supporting the Green Revolution of the 1960s and 1970s, which enabled food production to keep pace with population growth. But the context has changed dramatically. Our current food crisis – recurring increases in food prices, about a billion people chronically hungry, need to feed a growing population and thriving despite the threats of climate change – is anything but temporary. In addition, the traditional intensification is not a viable solution if it is at the expense of environmental and social resources it depends. of greenhouse gases (GHG) harmful. All in a way that is both effective and resilient, which helps preserve the natural environmental capital. This paradigm, the elements are not new, involves techniques of genetic and ecological intensification in enabling environments created by socioeconomic intensification process. The novelty proposed by this report is how to combine these elements to establish a framework for finding appropriate solutions to the food and nutrition crisis in Africa.